Non-contact, inductive displacement sensors (eddy current) measure the position of lens elements in order to achieve the highest possible imaging accuracy. Depending on the lens system, displacement sensors from Micro-Epsilon are used to detect movement and position in up to 6 degrees of freedom. 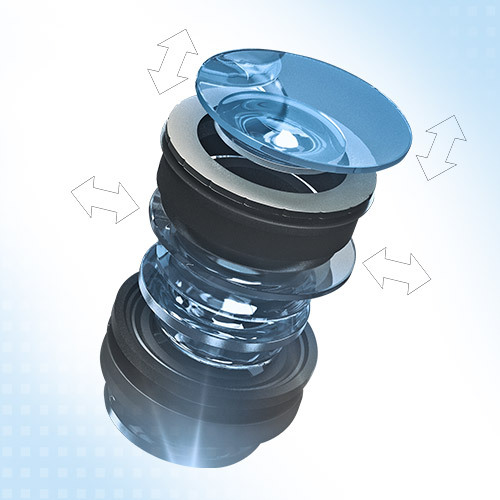 Providing a high frequency response, eddyNCDT sensors also monitor highly dynamic movements of the lens system.